The storms continued all day and even lightening persisted thought the night. 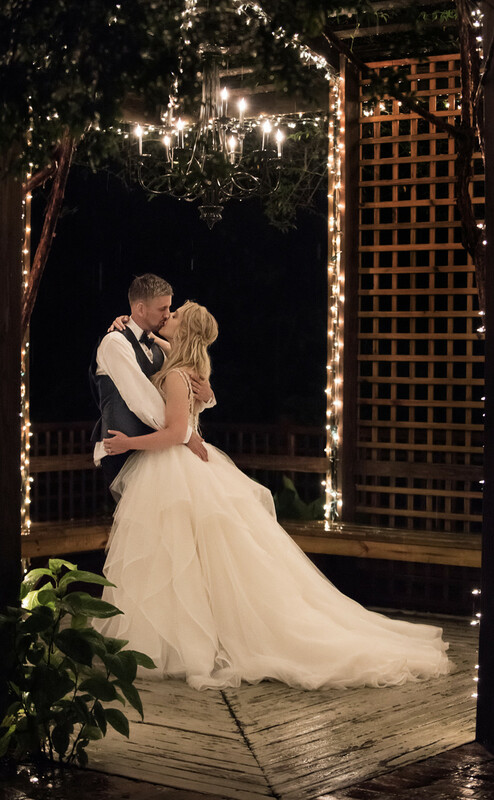 Before their big exit, we were able to spend a few rainy moments with the bride and groom in the spot that would have been their first dance. Lit completely by the chandelier and twinkle lights, I had to stand in a fountain so that I could have the perfect angle for this image. We were already wet, so why not stand in more water for that perfect shot?! Location: 5151 Museum Dr, Mobile, AL 36608.